I am not sure why, but most little girls seem to have a fascination with mermaids. Don't get me wrong- I loved The Little Mermaid as much as anyone when it first came out, but I didn't watch it over and over and over and over and over and over again like my little sister. I think fish are kinda smelly and gross, so I don't entirely understand why mermaids are perceived as being so beautiful. But, I aim to please, so I have sewed up several mermaid tails over the years. 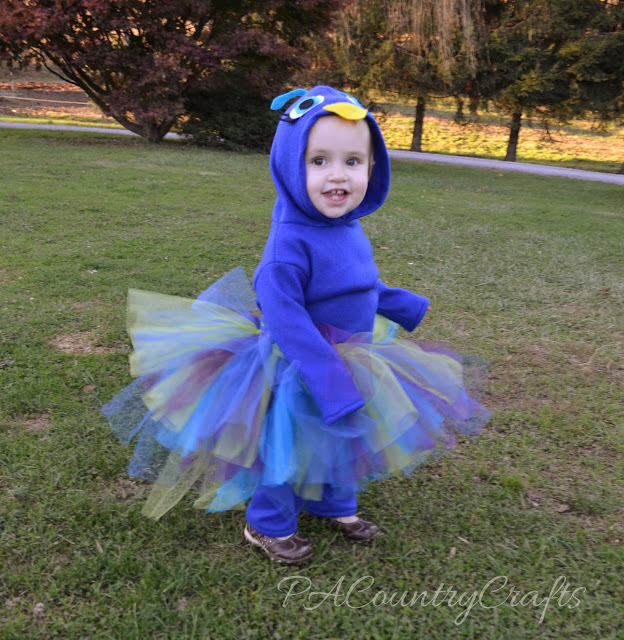 It really is one of the fastest costumes I can make, so I don't complain. They can be made out of a variety of materials, preferably with some stretch. 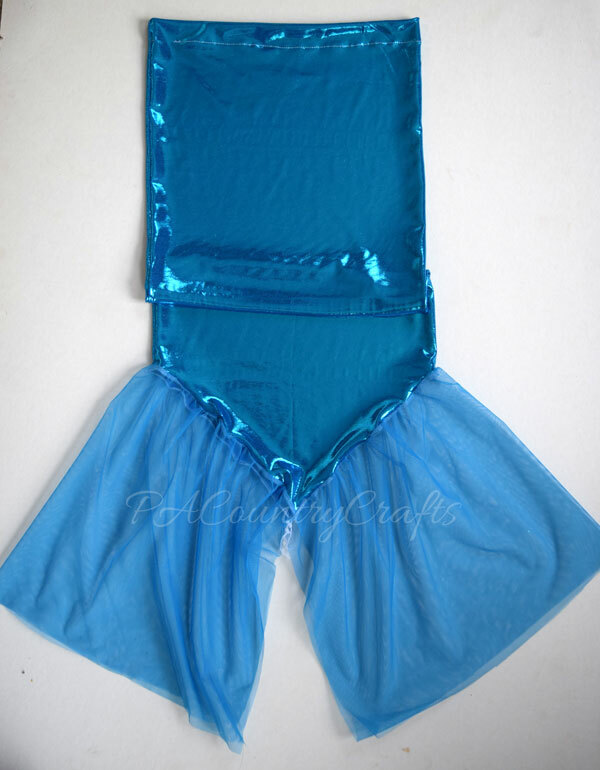 I scored a remnant at Joann last year of a shiny, metallic, swimsuit type fabric. It was perfect! I like to make the fins from tulle so that they have a flowy effect. Ready for a tutorial? Great! 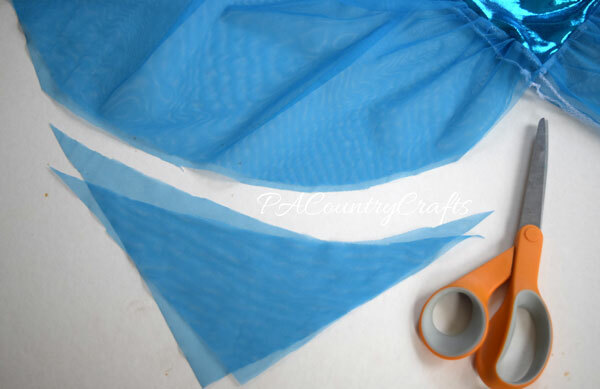 For the tail, cut two pieces of fabric with the stretch widthwise. To get the width of each tail piece, take half of the hip measurement and add 1". 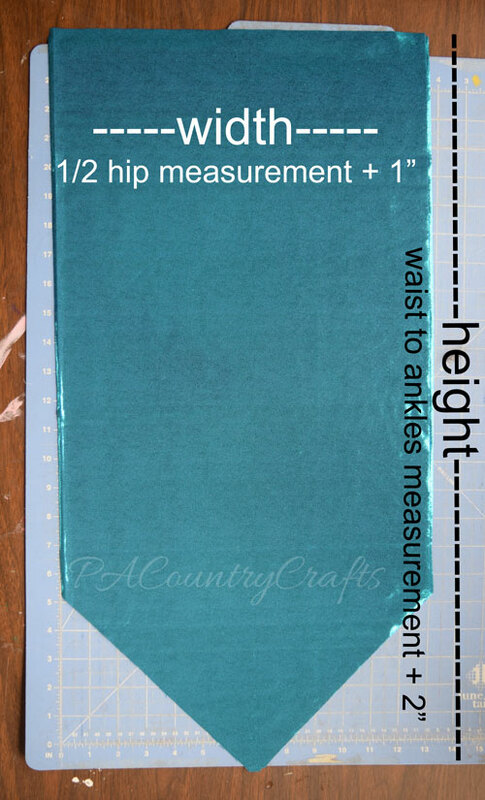 For the height, measure from the waist to the ankles and add 2". Then, cut off the corners from the center to about 6" from the outer corner. Now for the sewing part. It goes really quickly! Sew up the sides of the tail. I used my overlock machine, but a regular straight stitch should be fine. 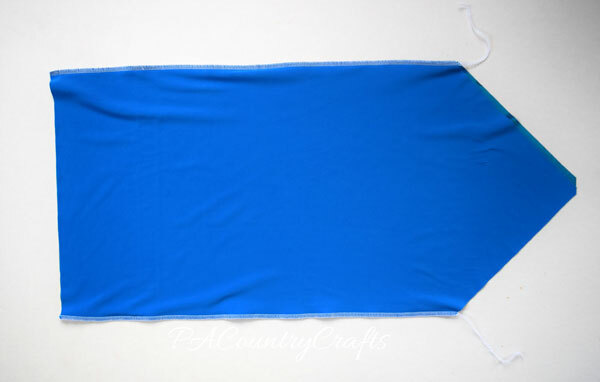 Fold the waist to the inside about 1" and pin or clip to hold in place. 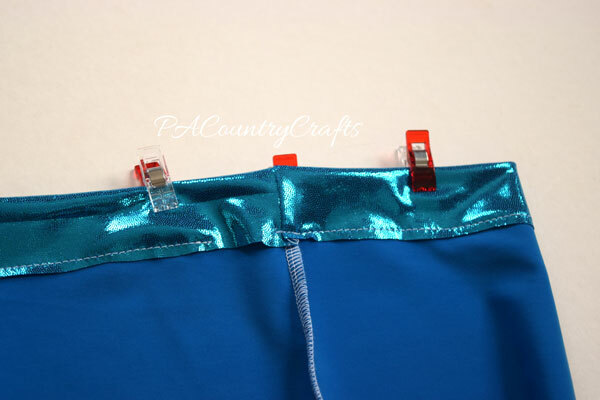 Sew an elastic casing 1/4" from the edge, leaving an opening to put the elastic in later. 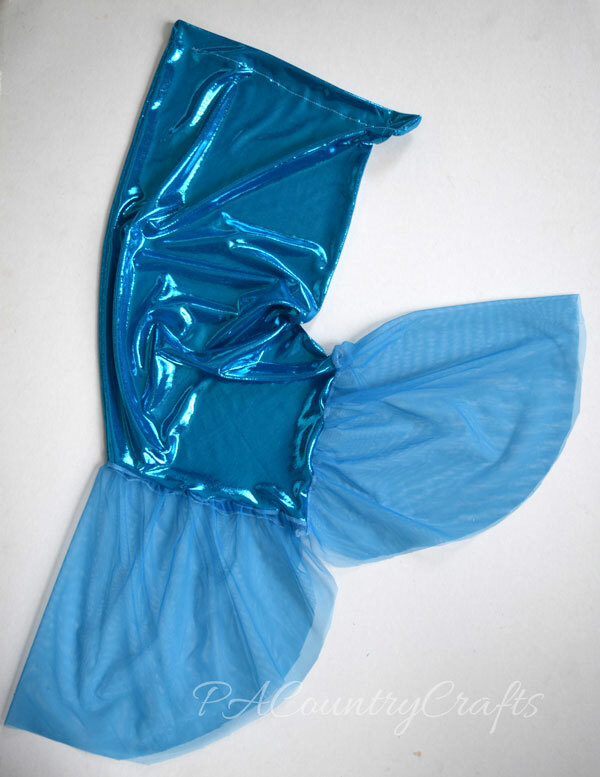 For the fins, sew a long basting stitch to gather the top edge of the tulle. (See THIS tutorial if you need help with that!) Repeat for the other fin. 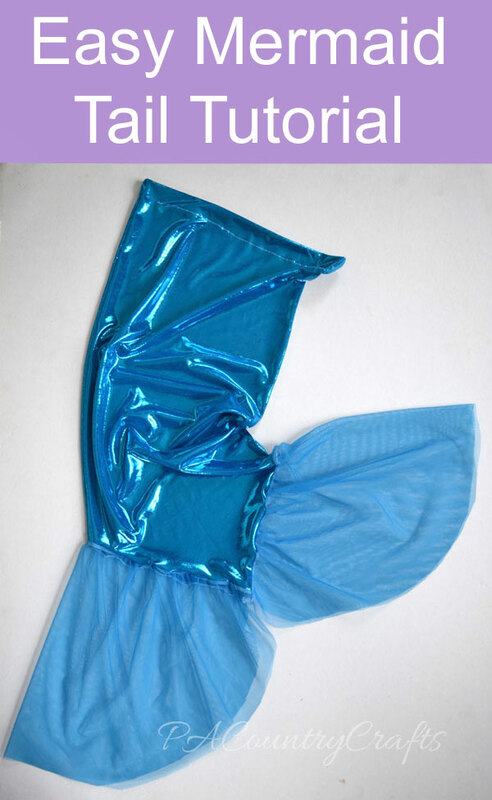 Pin or clip the tulle in place and sew the fins to the bottom of the tail, lining up the center of the fin with the highest peak of the tail. Yeah. It looks funny. We are gonna fix that now. OK? Trim a curve from the center towards the bottom. Finally, cut a piece of 3/4" non-roll elastic one inch less than the waist measurement, insert it in the casing, sew it together overlapping about an inch, and sew the opening closed at the waist. That is a lot of steps, so see THIS tutorial of THIS one if you need help. 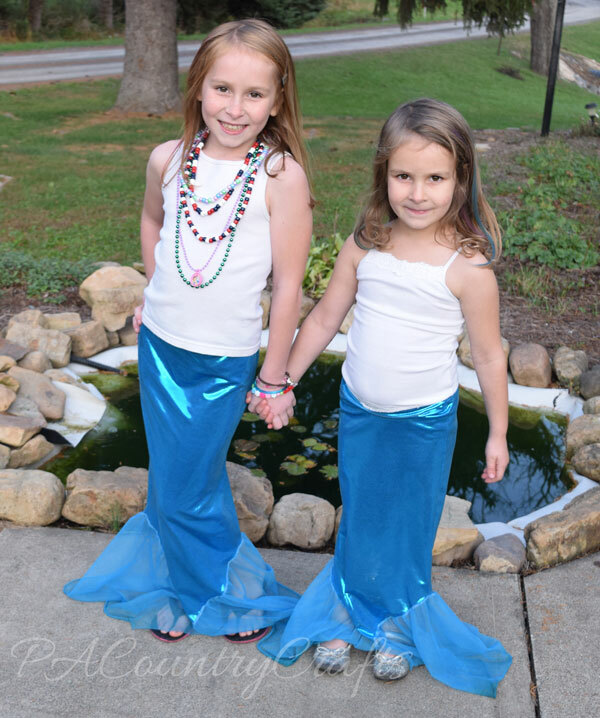 I think the best thing about these mermaid tails is that the stretch fabric makes them more practical for kids. They can move around in them pretty well, and can always hike it up a little if needed. Clearly I am better at sewing than making pinatas. Anyway, these get thrown in the dress-up box and are worn all year long. I have made fancier tails by adding beads and sequins or contrasting fin colors.